So you’ve got this brilliant idea or concept that solves a real world problem. You have completed your executive summary, business model canvas and you’re wondering where to begin on execution. Alternately, your business launched its product or services. You’ve got a few customers that you have converted to paid customers. A few quarters have passed by and you see that your business is plateauing without an up curve. In both the cases, working on a good and comprehensive product roadmap will prove to be a good place to start. 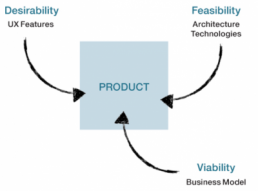 A product roadmap is a document that will address Why? How? When? What? Questions for your business, product or services. This article hopes to highlight some of the key components that you or your product manager should be be thinking about. So you can create a product roadmap that will work effectively for your product. At the end of this, you can download a roadmap template that was used by Slack and another outcome based roadmap. components for the various stages of a product’s lifecycle. For Eg: Early product (Brand new) or Growth product(enhancements to existing product line) . As your product capabilities grow you may be able to expand into new new markets either as a problem solver or as an alternative to your competitor. The roadmap you develop should describe when the problems you solve will expand. This will allow you to effectively expand your market. Initially, It can be categorized into term goals for your product. 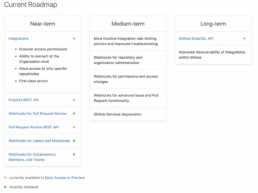 See github’s platform roadmap that categorize them into 3 simple buckets of work. It includes a disclaimer that claims that this can be updated and is a living document. 3) Fairly sophisticated awareness of technology and engineering capabilities/parameters. Tools and techniques for gathering the business knowledge may include Business Model Canvas or Ash Maurya’s Lean Canvas. Once you have validated that the problem is worth solving the next step is to develop an elegant solution. A design sprint process can help iterate on a problem until you uncover the right solution. Experience has taught most of us that you can never get everything done for various reasons; resources are limited, priorities shift, executives have ADHD and on and on. So it is imperative that you get the most important things done before something changes and your resources are re-directed. There are various prioritization frameworks available to prioritize with science and data rather than a gut feel. 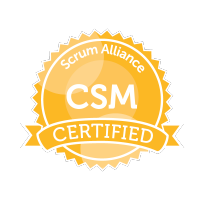 Critical path analysis techniques like Kano, MosCow, ROI scorecard can help here. A good product manager can identify the right technique out of those to perform critical path analysis for your product or business. T-Shirt sizing your effort to build it can also help with prioritization and setting things in order and sequence. There are many guidelines that help make a good product roadmap. Here we have identified the crucial ones. In conclusion, President Eisenhower’s famous quote “Plans are worthless, but planning is everything” still holds true in the sense that no matter how well you plan, change is unavoidable. So you may not have a plan that is immune to change but one that can evolve with it. Creating a Product Roadmap is included in our MVP starter package. Click below to Learn More about our MVP starter package.